The progress that has been made by all our sports together in the last couple of years was on show during this announcement though, with plenty of the events that the Government is bidding for being in the women’s sport space including the Women’s ICC World T20 in 2020, the Women’s Rugby World Cup 2021, the FIFA Women’s World Cup in 2023, the Netball World Cup in 2027 and the Rugby League World Cup 2029. But where are each of these sports right now, and what would hosting a major event in New South Wales to do increase their popularity and encourage more women and girls to play each sport? When sports fans talk about the growth in women’s sport, often AFL is credited as being the sport that kick-started the revolution. 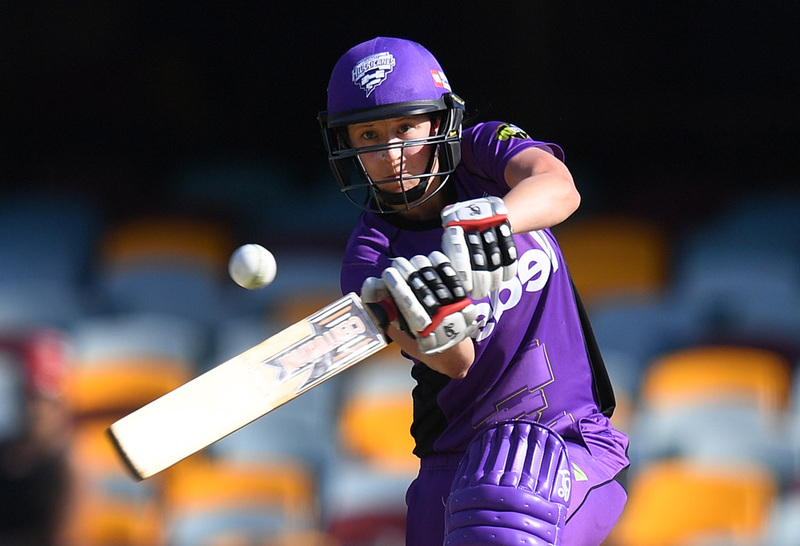 When I talk about the kickstart though, I tend to credit cricket with their standalone women’s competition, the WBBL heading into its fourth season this year. The good news about this event is that the Women’s ICC World T20 is already going to be hosted in Australia in 2020, so I am confident that NSW cricket fans will have the opportunity to watch the Australian Women’s Cricket Team in action. By that point, the fifth instalment of the WBBL will have been played and the standard of women’s cricket will have only increased. I noticed a significant increase in standard between WBBL02 and WBBL03 which is no surprise considering the international talent which continues to be drawn to this competition from countries like India and England, as well as the increased opportunity for the Southern Stars to compete internationally. We saw plenty of milestones reached in WBBL03 as early as Opening Weekend, including the first team to score 200 runs – by the time the Women’s ICC World T20 begins, perhaps 200 will be the new standard with teams aiming as high as 250-275 runs. This is the World Cup that I think has the most potential to disrupt the women’s sport space in this country. All the other events have teams like the Southern Stars, the Matildas and the Jillaroos who are established and are becoming increasingly well known among the Australian public. When it comes to women’s rugby, the strength of the 7s product cannot be questioned, but there is still work to be done in the XV space, particularly in relation to the Wallaroos. Rugby Australia has been busy over the last year. The Super W was announced and in August this year, the Wallaroos will play a doubleheader with the Wallabies for the first time on Australian soil in a historic New Zealand series. But the reality is, very few Australians can name a Wallaroo. The potential this World Cup has is immense. Not just to shine a light on women’s rugby, but also to give young women who are considering giving rugby a go something exciting to look forward to. With Josephine Sukkar backing this World Cup in, I would be very surprised if Australia was not successful. World Cup fever has just ended in the men’s space, with Australia bowing out during the group stage. 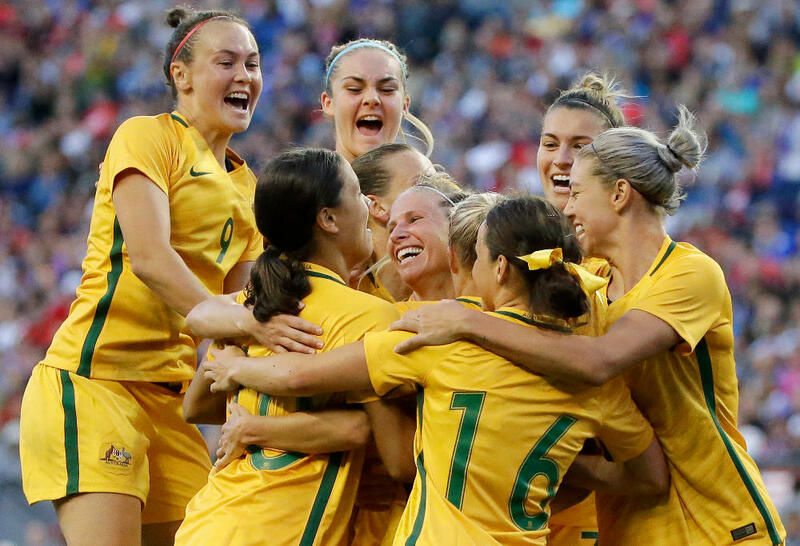 If there is a sporting team that has captured the imagination of the Australian public over the last year it certainly has been the Matildas – from their win at the Tournament of Nations last year to Sam Kerr and her backflips, women’s football is on the rise and there is genuine excitement around the national team. The difference between the Socceroos and the Matildas is that the Matildas are a genuine hope of winning the World Cup in 2023, particularly if they continue to grow and develop as they have over the last couple of years. How magical for women’s sport and Australian football to get the opportunity to see a victory on Australian soil. International netball was shaken this year when England defeated Australia at the Commonwealth Games. This is a sign that Australia and New Zealand are not the only dominant teams when it comes to netball and that the rest of the world is beginning to catch up. Before we get to 2027 and if NSW wants to be in a strong position to put in a bid, we need more large netball venues. At the moment, the only viable options are the Quay Centre (which netball has outgrown), QUDOS Bank Arena (which is not always available…just ask Netball NSW what they are going to do if GIANTS Netball secure a home final heading into the Suncorp Super Netball Finals) and the ICC Centre, which is not really suitable for netball. In all the talk about stadiums, one of the sports that has not had a look in is netball. This absolutely needs to change if NSW wants to win this bid. The Australian Jillaroos are currently the Rugby League World Cup champions after defeating the New Zealand Ferns 23-16. So much has happened since that victory. The NRL announced its inaugural women’s competition, the Interstate Challenge was rebranded as State of Origin and 40 Jillaroos have been placed on contract and are considered the most elite women in the game. Can you imagine where we will be in 11 years time? Hopefully with at least another four women’s rugby league teams, a three-game State of Origin series and a fully functioning pathway from age four to elite. The talent on show last year was incredible, imagine how much further the women’s game will develop in the next 10 years. I wonder if Kezie Apps will still be playing?